With ticket in hand, I was now ready to head off down the Looe Valley branch line, once described by a Guardian commentator as “one of the most romantic in Britain”. 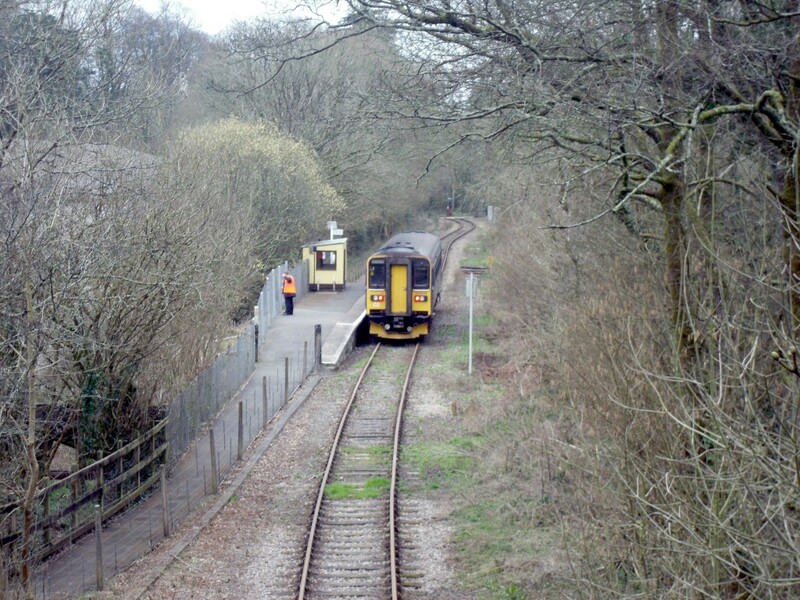 This nine-mile-long single-track branch line twists and turns, passing some of the tiniest country halts in Britain as it follows the path of the East Looe River all the way to the seaside town of Looe. 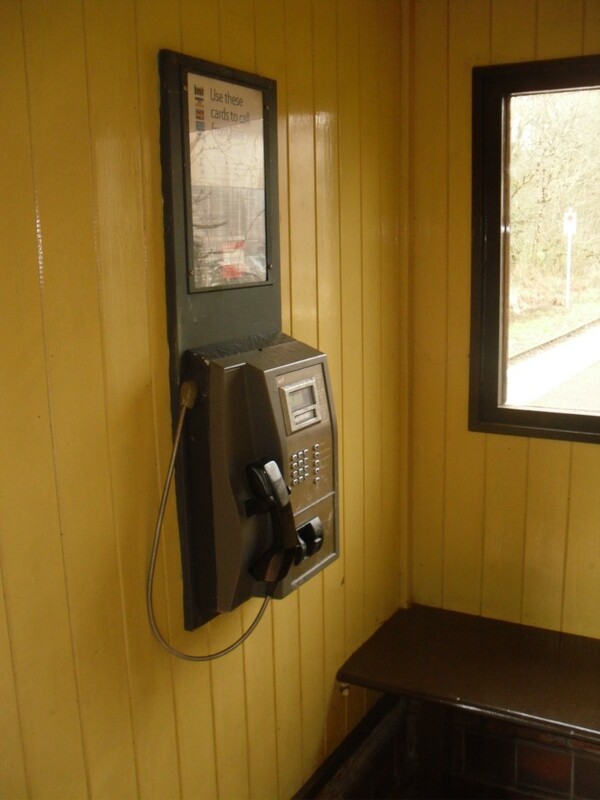 The line is part of the National Rail network, but a recent marketing drive has seen it getting a “retro” makeover, with the stations refurbished in the style of the BR Western Region of the 1950s. My journey was not going to start at Liskeard itself, but at the first station on the branch proper, Coombe Junction Halt. I walked away from the main line station, turned off the main road and instantly found myself in the countryside. 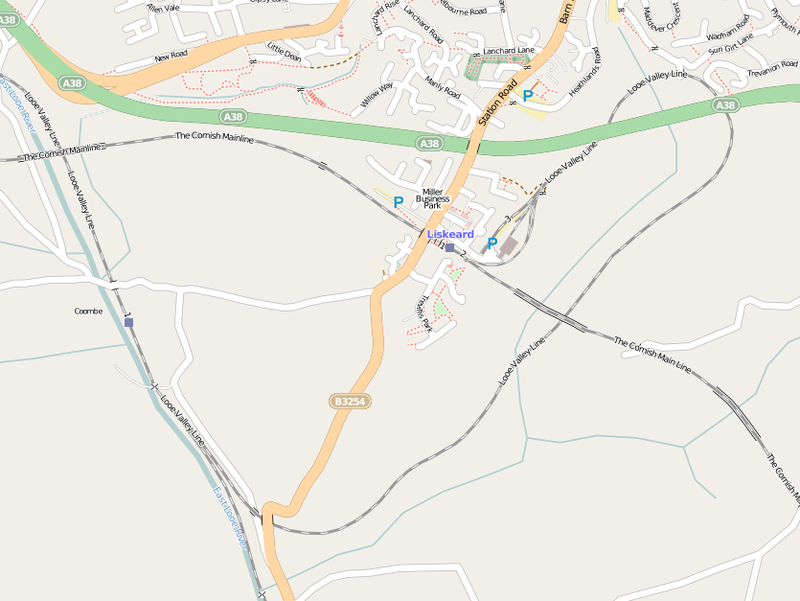 Liskeard and Coombe stations are quite close together as the crow flies – to walk between them is a distance of just over half a mile, although the roads are steep and I wouldn’t fancy doing it in the uphill direction. The distance by rail, however, is roughly two miles, thanks to the interesting geography of the railway here. 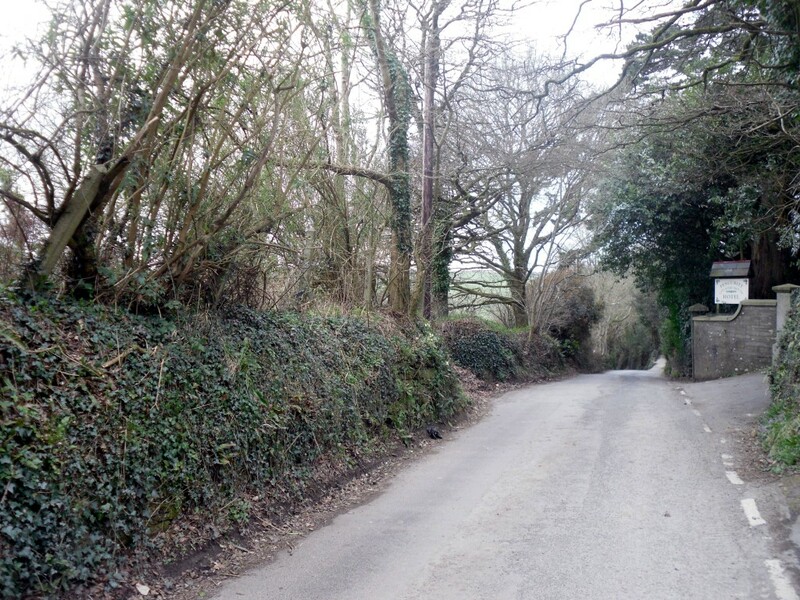 The line from Liskeard to Coombe Junction has to descend to the level of the river valley some 150 feet below. To get a sufficiently gentle gradient for trains, the line has to follow a convoluted course. Leaving Liskeard, trains travel in a north-easterly direction (away from Looe), before entering a horseshoe curve, passing under the A38 road (twice) and the viaduct carrying the Cornish Main Line, descending steeply all the while until it finally reaches Coombe Junction. At Coombe, the train is now facing the wrong direction, necessitating a reversal in order to continue to Looe. 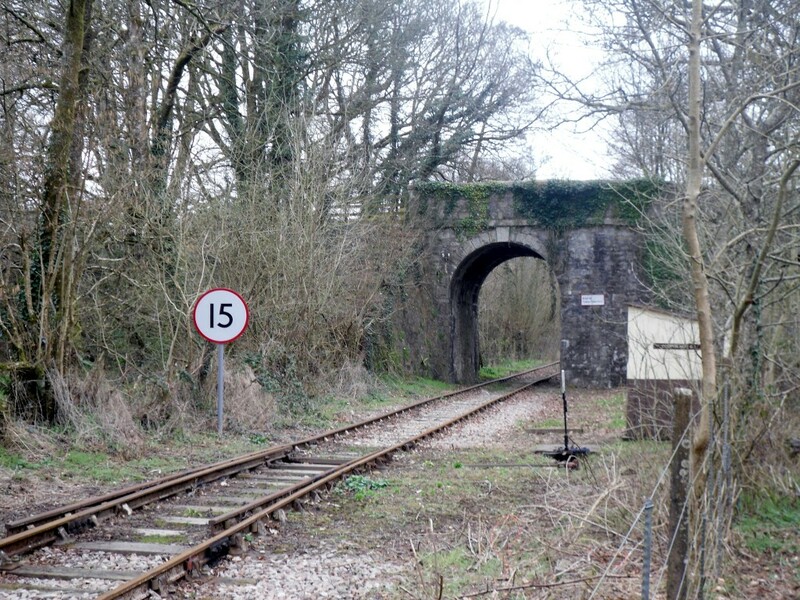 In steam days Coombe Junction was a water stop where locomotives would fill their tanks before attempting the fearsome gradient. Now, however, there is little reason for the station to exist. There are a few houses and farms nearby but nothing that would provide a significant source of traffic. 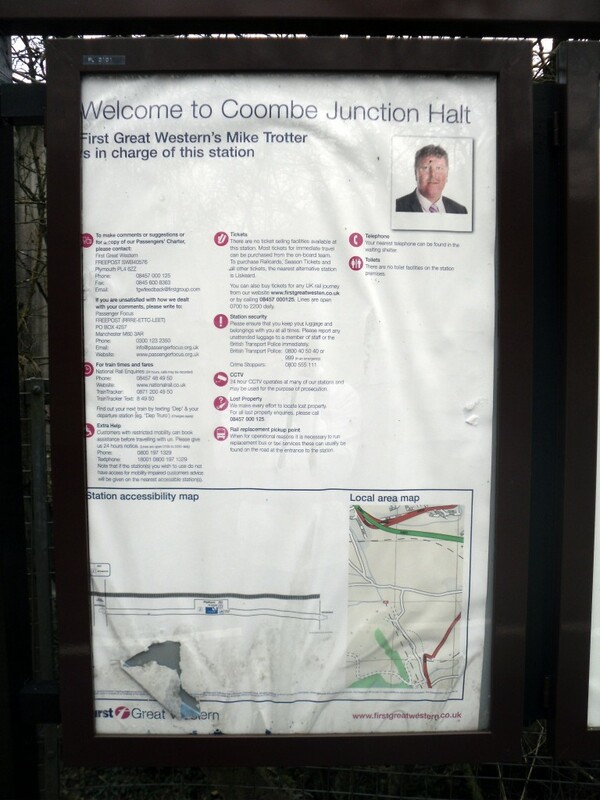 This is reflected in the timetable – even though all trains have to stop at Coombe Junction to reverse, only a handful actually continue the extra few metres into the station itself. The station’s location and sparse service mean that passengers are few and far between. 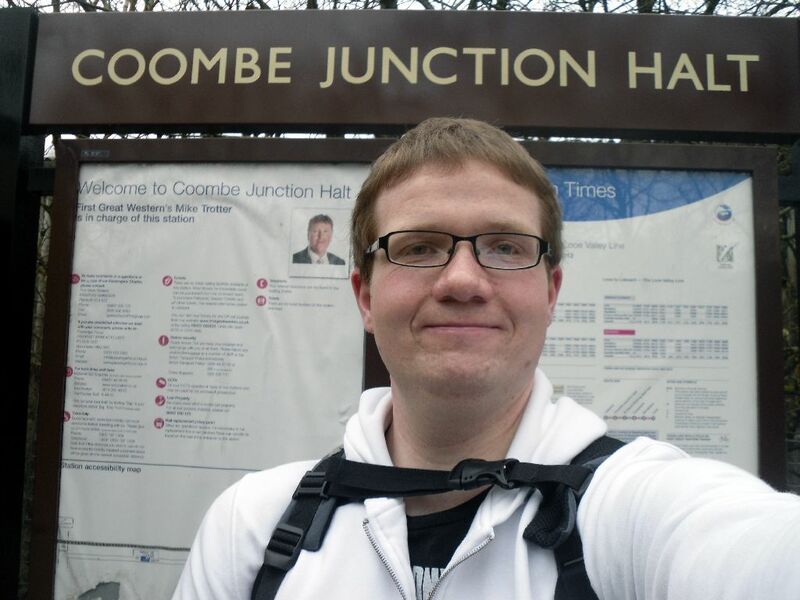 In fact, in the 2009/10 financial year, ticket sales data records that just 42 people travelled to or from Coombe Junction, making it the least used station on the entire National Rail network. Naturally, I had to make it a Station Master target. The station’s entrance was easy to find, but there was a further work along a tree-lined footpath to reach the platform itself. I’m used to Parliamentary stations being decrepit places, devoid of facilities. I was a little bit concerned when I found the fence at the station entrance lying at an unusual angle, but otherwise I pleasantly surprised by what I found. 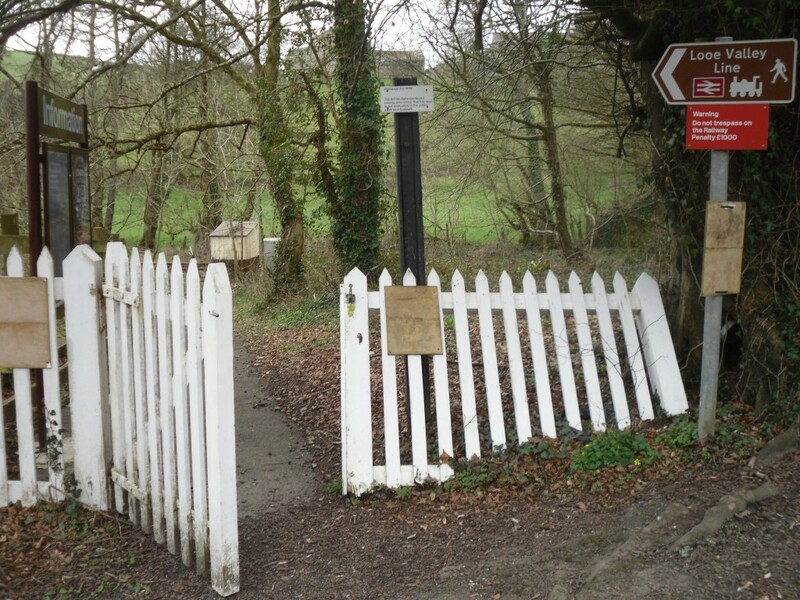 Coombe Junction Halt is maintained very well and looks smart and well-kept. Kudos to First Great Western’s Mike Trotter, who is in charge of the upkeep here. There is a shelter, lovingly painted in Great Western Railway chocolate and cream colours. Inside the shelter there is a payphone, although judging by the cobwebs on it (which don’t show up on the photo, sadly) I doubt it gets much use. 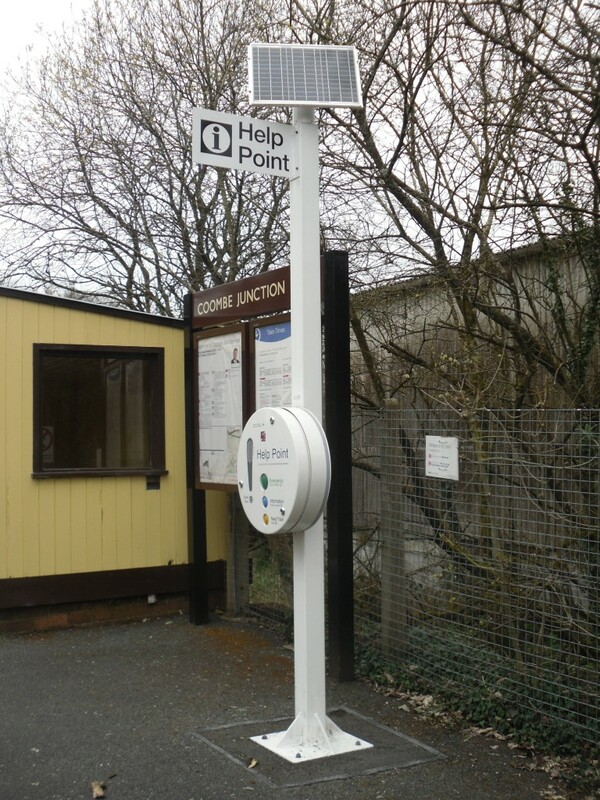 Outside, there is a solar powered passenger help point, which seems like an extraordinary amount of effort to go to for four trains a day (I believe First Great Western were required, as part of their franchise agreement, to install one in every station regardless of size). Beyond Coombe, the line continues a short distance to Moorswater. This stretch is used by occasional freight trains to the cement works there. In the other direction, just out of sight from the platforms, is the junction from which the station takes its name. 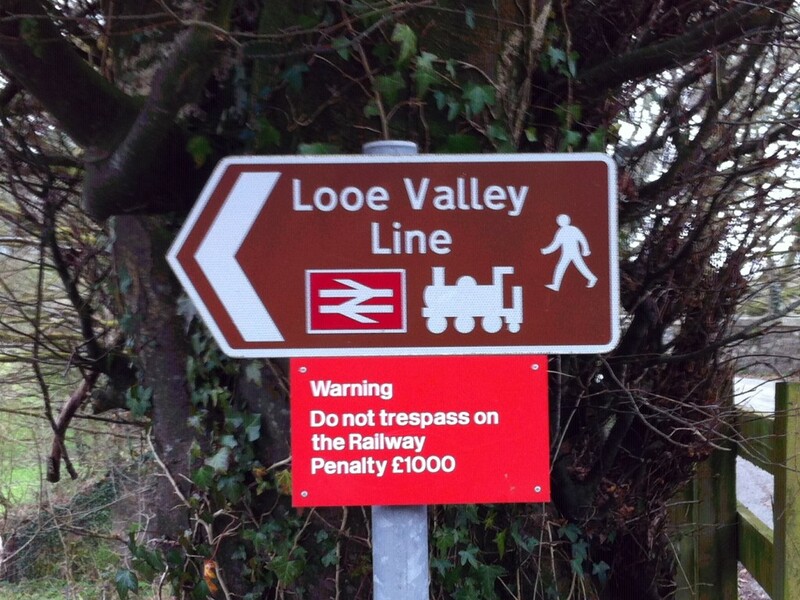 The Looe line is on the right. 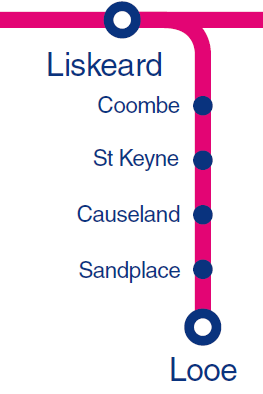 The left hand track goes to Liskeard and the steep gradient of the line is immediately apparent. 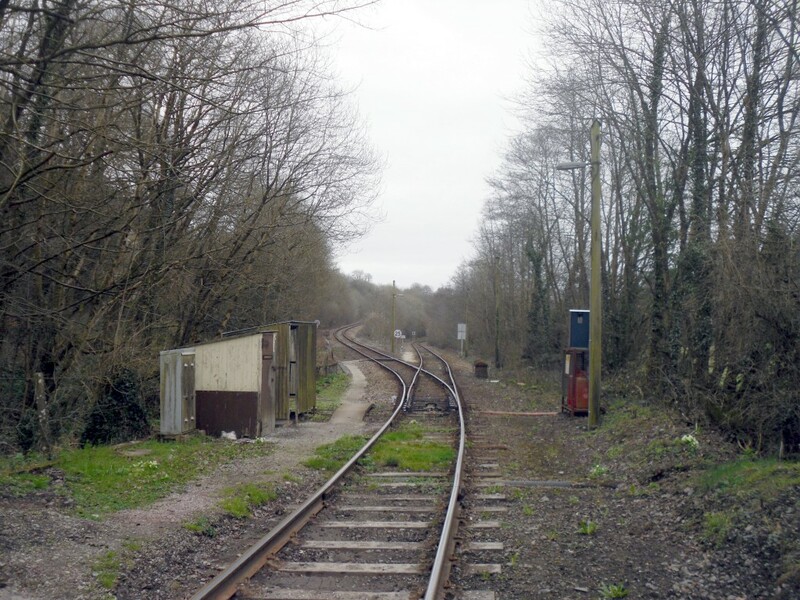 The hut to the left of the line houses the ground frame (the levers to operate the points) and the token machine from which the driver obtains permission to enter the single line section to Looe. 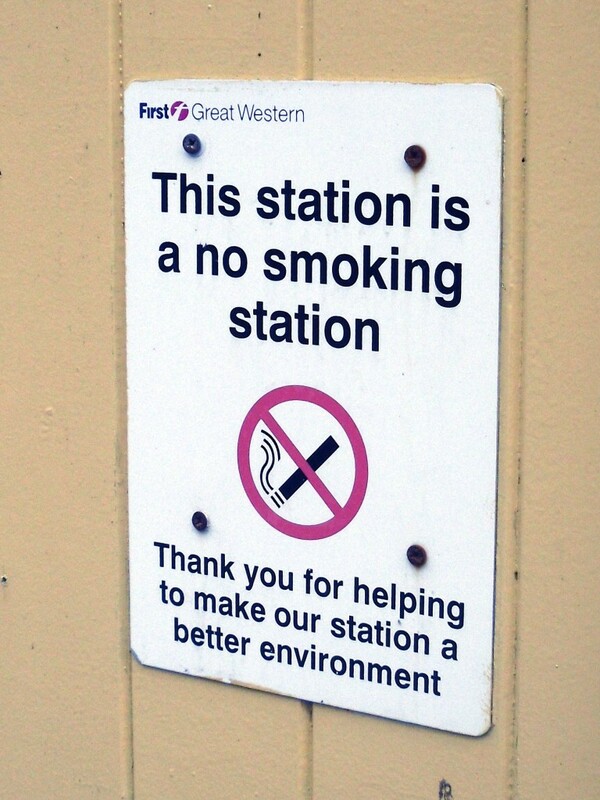 Coombe is a non-smoking station. I suspect you’d get away with it, though. I was due to take the 1007 service to Looe, however I arrived at the station sufficiently early to see the previous service arrive and depart. I ran to the nearby overbridge to grab a shot of it. A tiny train in a tiny station, surrounded by greenery – this is the enduring image of the country branch line. Replace the Sprinter with an older train and this picture could have been taken in 1960, or even 1930. 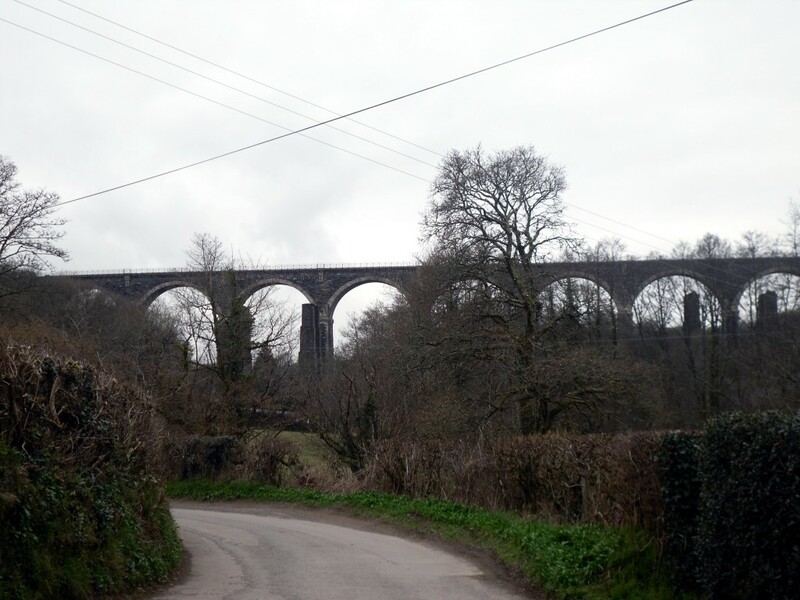 Before returning to the station, I also took the opportunity to grab a picture of the impressive Moorswater Viaduct, which carries the Cornish Main Line across the valley at this point. I thought I would have the place to myself, but I was occasionally interrupted by dog walkers – Coombe Junction Halt has exits at both ends and the footpath through the station appears to be a popular shortcut. Apart from that, it was a peaceful place. I stood on the platform and took in the rural idyll. Trees and fields surrounded me, the only sounds were those of chirping birds, sheep bleating in the distance, and the babble of running water from the nearby stream. With the replica BR(W) nameboards and chocolate and cream colour scheme, time didn’t just stand still – it seemed to be actively going backwards. I was left alone long enough to shoot some wobbly camcorder footage. 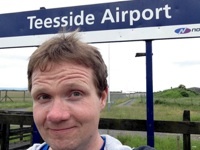 The occasion of visiting the least used station in Britain needed something special to celebrate, and what better way than with a YouTube tribute? “Oh, this is unusual,” remarked the conductor when I climbed aboard the train. She was very disappointed that she couldn’t sell a ticket from Coombe, as I already had a Day Ranger ticket. She disappeared back into the back of train to prepare for the reversal movement, which requires the guard to operate the points and instruct the driver while he shunts the train across the junction. The train pulled out, and I felt pleased that I had visited a significant (by this blog’s standards) station. There is a postscript to this particular story, however. Just over a week after I visited Coombe, the Office of Rail Regulation released updated station usage statistics for the 2010/11 financial year. 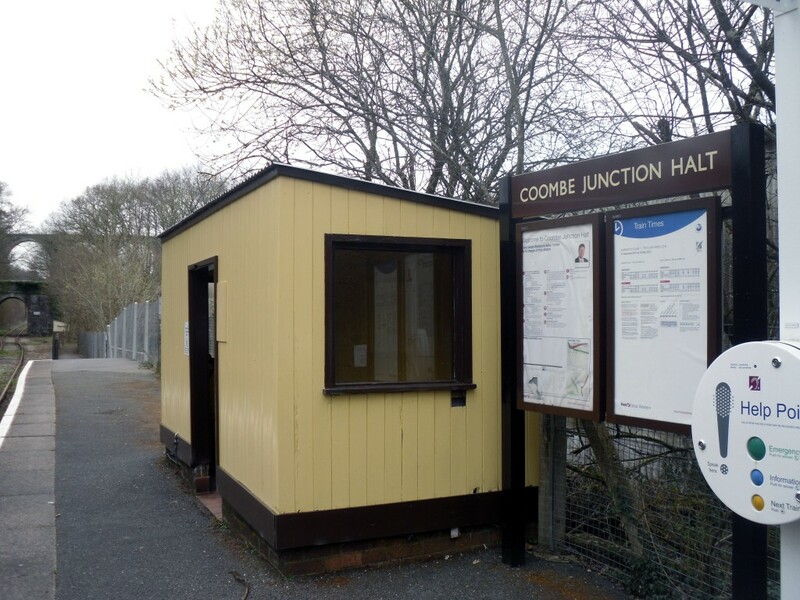 Coombe Junction has dropped from 42 to 38 annual passengers, but two other stations (Tees-side Airport and Dorking West) have slipped even further down, meaning that Coombe Junction is now officially only the third-least used station in the country. I felt a little bit deflated at this news, but I shouldn’t really. At the time I visited, I thought Coombe Junction would be the highlight of the trip, but my Cornish railway expedition would in fact throw up a host of treats over the following hours and days. I had many more places to visit and see and experience. But I really don’t believe that Dorking West has fewer passengers than Coombe Junction Halt: it’s on the edge of a town with a population of 17,000 and has trains at least every 2 hours, 7 days a week! It must be something to do with how tickets to just ‘Dorking’ are allocated between the three stations in the town.